Robert Endeacott is a Beeston, south Leeds writer and novelist, born in 1965. For anyone who thinks such things are important, his birth sign is Aries and he is a pukka April Fool, too. Published works began in 2002 under the auspices of the pioneering Ian Daley of Route with Robert’s acclaimed novel One Northern Soul which features semi-autobiographical tales acted out by the fictional Steve Bottomley. Next came the sequel No More Heroes on the Relish Books imprint, as well as the factual Leeds United supporter-book Fanthology (with Graeme Garvey). The ironically-titled Dirty Leeds arrived in 2009, published by another great publisher, Stu Wheatman of Tonto Books. 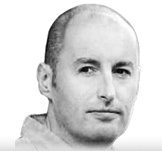 Dirty Leeds is the first of a trilogy, beginning with the life and times of Jimmy O’Rourke paralleled with that of Don Revie while manager of Leeds United. The sequel, Disrepute – Revie’s England, followed, more stories of Jimmy and of Revie when he became England manager. Publisher closure and Dirty Leeds out of print prompted the release of After Extra Time (Dirty Leeds Uncut) in 2012. It is the unabridged version of Dirty Leeds containing substantially more of Jimmy O’Rourke’s personal story. In 2014, Soundcheck Books published the factual biography of sorts, Peaches – A Chronicle of The Stranglers, 1974-1990. Robert’s favourite band remains The Stranglers (mark one version) and there is never enough written about them! In 2015, Milo Books published the factual account of West Midlands Police operation dealing with Birmingham City followers the Zulu Warriors in 1987. Co-written with the former chief officer of ‘Operation Red Card’, Mike Layton, Hunting The Hooligans has also been adapted into the screenplay Operation Zulu. 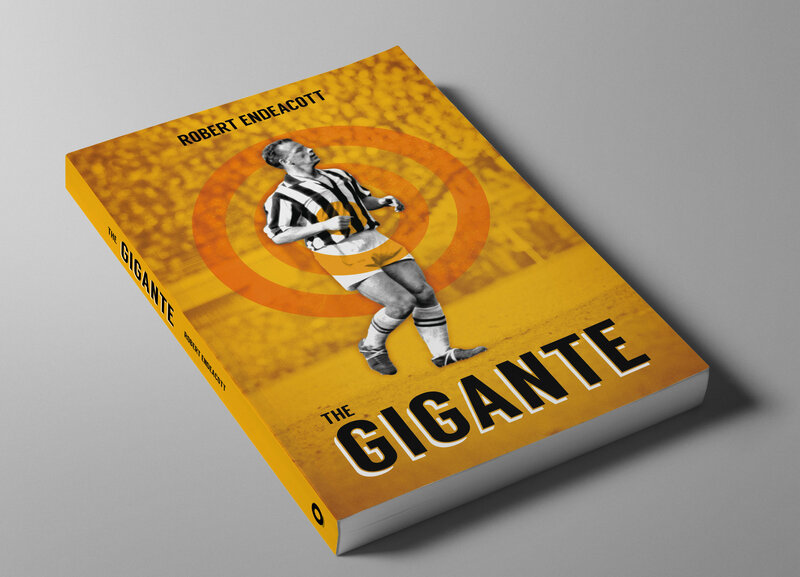 In 2016, publisher Dave Hartrick of Ockley Books ‘signed’ Robert up and the release of The Gigante is set for the not-too-distant-future! 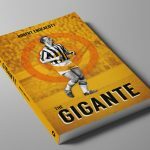 The Gigante is the fictionalisation of Welsh superstar John Charles’ life in 1957 when leaving Leeds United for Juventus. It is not just a football story, as much of the tale is his wife Peggy’s experiences of life in Turin as it is events on the pitch. I n 1957 a reluctant John Charles travelled to Italy having been sold for a record fee to Juventus. Leaving Leeds behind he nervously relocated his family to a new country and began a new career in Turin. Playing with a target on his back was nothing new but he had never experienced the level of attention that lay ahead. In this fictional retelling of his time in Italy you get to witness Charles’ journey from nervous new boy to il Gigante Buono – the Gentle Giant.